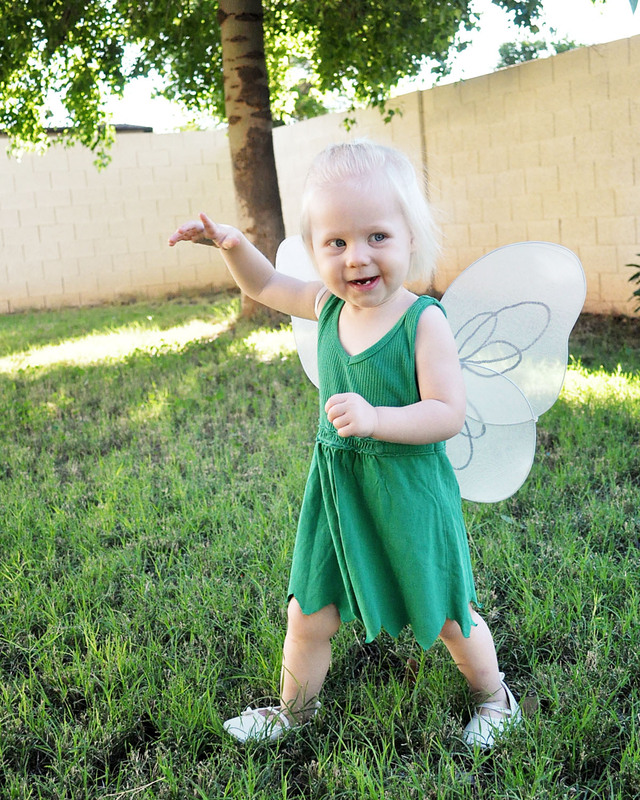 Halloween Costume #1: Tinkerbell - Real life, on purpose. Even though we don’t have anywhere to go or any reason to dress up, David and I both decided it was a shame not to make a costume for Amelia this Halloween. After last year’s fox hunting win, we couldn’t not do something fun. Trouble is, we couldn’t decide on just one costume. So we made a list of our favorite ideas, Mila and I stopped in at a couple Goodwills to gather supplies, and we’re going to spend the week leading up to Halloween sharing our creations. It was a smidge too big, but otherwise perfect. 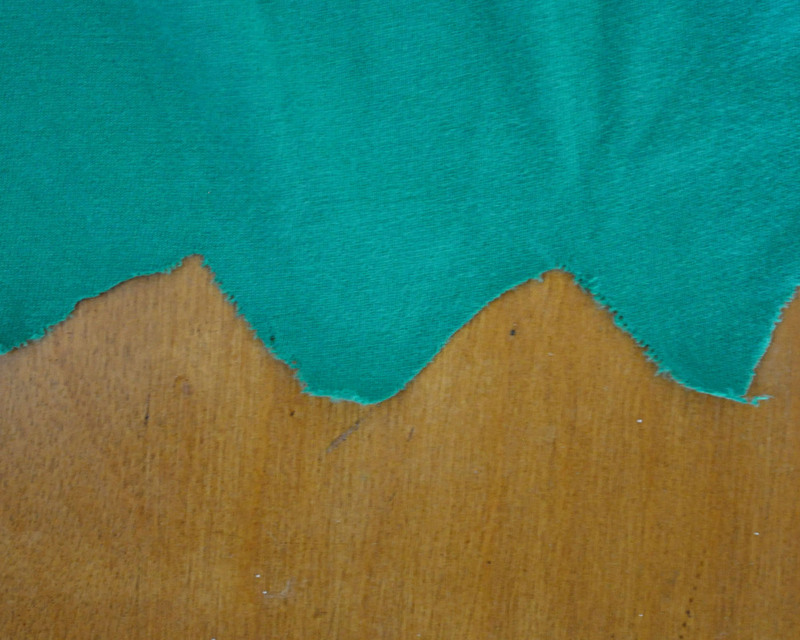 I cut off the hem, partly to shorten it up a little and partly to give it a zig zagged edge. 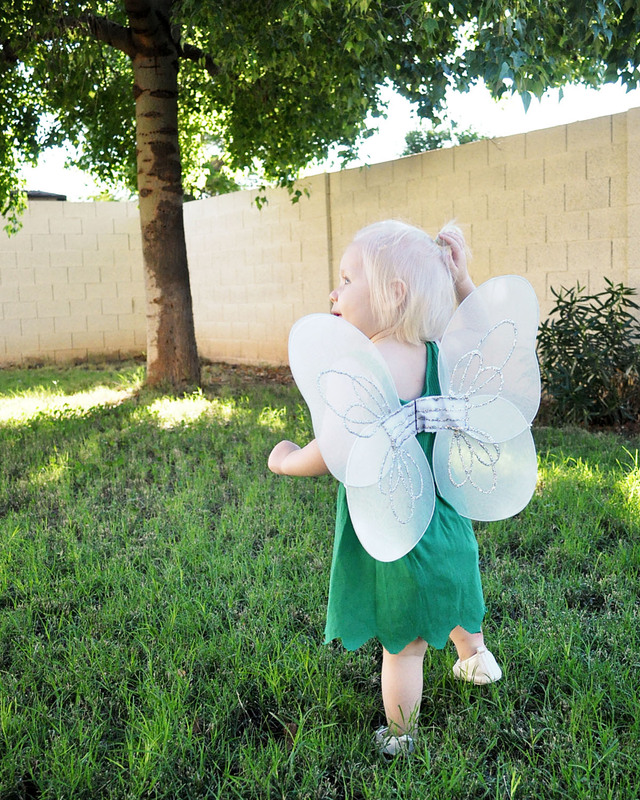 Then I pulled Mila’s hair into a ponytail (as best I could with all her little flyaways) put on her white church shoes and a pair of wings I’d picked up (that was the only new, packaged item we bought at Goodwill) and tada! 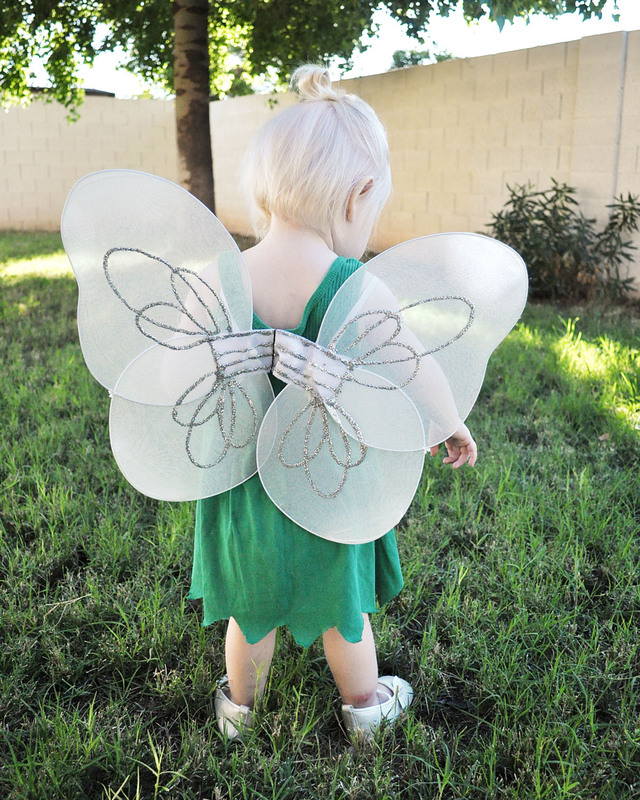 The cutest little fairy on the block. She loved the wings and has been putting them on and taking them off all morning. 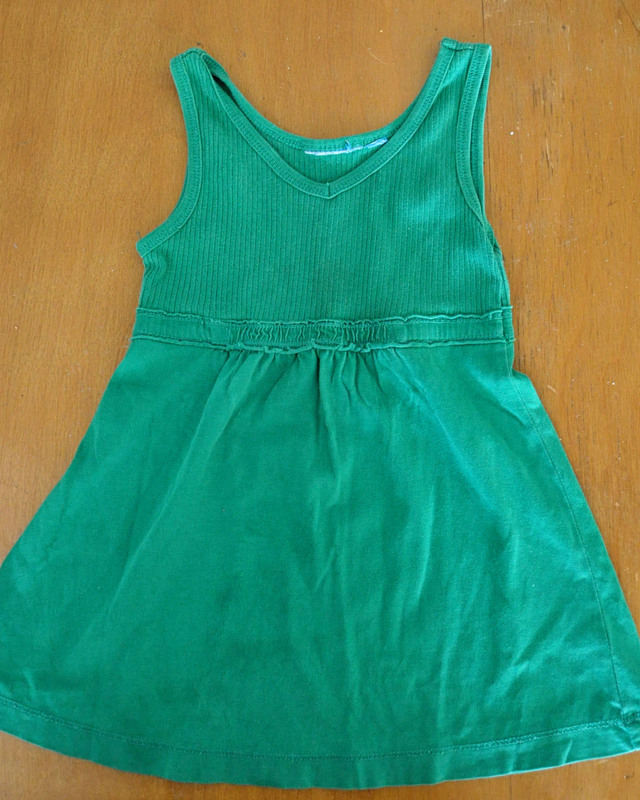 Hooray for precious and incredibly easy costumes. Tomorrow’s costume will be decidedly less dainty and I’m super excited about it. Playing dress up is the best. Cute indeed. I love this kid.